Hedge fund titan Bill Ackman just made a nearly $1 billion investment into Starbucks in early October. His hedge fund, Pershing Square Capital, says it was the "rare opportunity to own one of the world's best businesses at a discount." Money Morning Chief Investment Strategist Keith Fitz-Gerald beat him to the punch, too. Back in August, Keith said Starbucks wasn't just a "nice to have" stock, it was a "must have" stock. 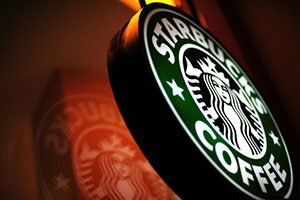 Starbucks is simply one of the best companies you can own right now. There are already 430 million people in China's middle class, over 100 million people more than the entire population of the United States. But it's getting even bigger. China's middle class will be 780 million strong by the mid-2020s, nearly doubling in size. That's why China is already home to the world's largest mall, the New Century Global Center. It just happens to be the world's largest building, too. And there might not be a bigger catalyst on the planet for companies that sell goods and services. You see, the middle class is the largest income group – and it has the disposable income to spend money on luxuries, including that $4 latte on the way home from work. That's part of what's helped Starbucks explode in popularity in the United States, where it now has nearly 14,000 retail locations. But Starbucks isn't just popular – it's enormously profitable. The company has booked a profit for 12 years in a row, and it's grown its profits every year for five years straight. Now Starbucks is more profitable than ever. Its net income has nearly doubled over the last year, rising to a level of $4.5 billion. Starbucks has just 3,000 stores in China now. That's changing in a hurry. Starbucks plans to open a new store in China every 15 hours for the next four years, nearly doubling the number of stores by 2022. That's simply an incredible rate of growth. And it makes total sense, considering the massive profit potential behind China's exploding middle class. Starbucks' plan could triple its revenue in China in just five years.